How Many Carbs Are in Olive Oil? Olive oil is liquid fat made out of olives, which is a tree crop from the Mediterranean Basin. This type of oil is made from harvesting olive trees and pressing the olives. One of the most popular oils today, it's used in cooking and other kinds of products, such as cosmetics and pharmaceuticals. But what makes this so different between sunflower oil, another popular healthy oil made from sunflower seeds? Olive oil has increased resistance to high temperatures as compared to sunflower oil. It’s better to use for frying with fewer chances of free radical formation. 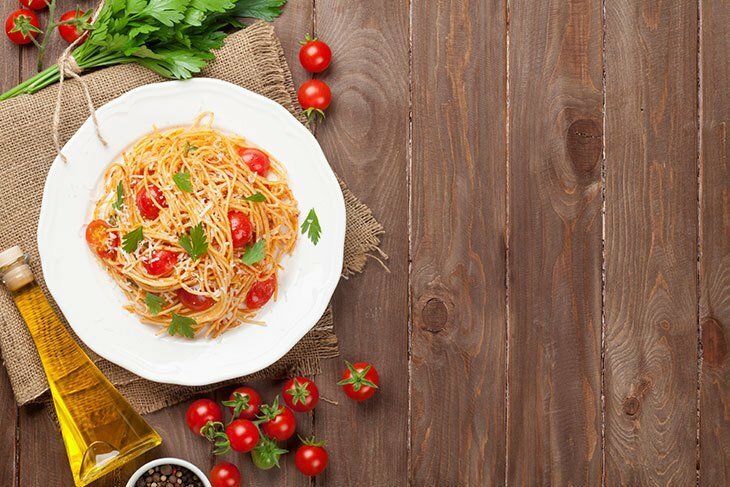 While sunflower oil has no taste, olive oil has a distinctive taste that can add flavor to your dishes. In regards to fat, olive oil has lower saturated fats and greater power conservation, as sunflower oil would get spoiled easily because of its polyunsaturated oils. The former also has an equal portion of omega-3 and omega-6 fatty acids. Olive oil is one of the primary ingredients used in the Mediterranean diet, with thousands of people around the world following the meal plans and reaping great benefits from it (including weight loss!). So despite a higher price tag, I can say that olive oil is definitely a better option for flavor and health. So are there carbs in olive oil? Whether or not you're on a low-carb diet, you'll be able to enjoy the nutritional value of olive oil, as it has ZERO carbs. Yes, because olive oil is made out of pressed olives and 100% fat, you will find that a serving (14 grams or one tablespoon) has about 14 grams of fat, no carbs or protein. Also, it is 120 calories per tablespoon. Under fat, a serving of olive oil contains 2.2 grams of saturated fat, 1.8 grams of polyunsaturated fat, and 10 grams of monounsaturated fat. It does not contain trans fat and is rich in fat-soluble vitamins, such as vitamins K and E.
Some carbs isn’t a surprise, as all types of cooking oils such as sunflower, vegetable, or coconut oil have zero carbs as well. This type of oil is best used in cooking, with an acidity of 2.0%. It’s slightly inferior to extra virgin olive oil because of its acidity level. This is the best type of olive oil, with an acidity level of less than 1%. Rich with antioxidants, it’s made by cold pressing fresh olives which give it its strong aroma and taste. It’s best used in salads, as cooking with it may inhibit its flavor, taste, and the nutrients it contains. It is the typical kind of olive oil, a blend of both refined and extra virgin variety. It has the acidity level of virgin oil, but lacking in nutrition and flavor like the refined olive oil. It’s best used for cooking, but not taken raw. Refined olive oil has no acid content and is very cheap, inferior to the other types of olive oil mentioned. It has less flavor and intensity in both flavor and aroma. It’s used for cooking, but not for salads or skin care. Now that you know about the zero carbs in olive oil, should you be afraid of taking in anything that contains this macronutrient? The answer is NO! People tend to avoid carbs at all cost when it's a necessary nutrient we need in our bodies to get our energy. What you need to do is to acquaint yourself with macronutrients (carbs, fat, and protein) and get an equal portion of everything. The average adult needs 45 to 65% of calories from carbs, 10% to 35% from protein, and 20% to 35% from fat. And of course, choose the HEALTHY carbs. Avoid refined sugar and pastries. Instead, go for quality carbohydrates that contain fiber, such as fruits and vegetables. If you are going for pasta or bread, consider getting whole-grain rather than refined white grains, as it contains more sugar and starch. It gives you quick energy for runs and workouts, but it will have you crash! So do NOT worry about the carb content in your food. 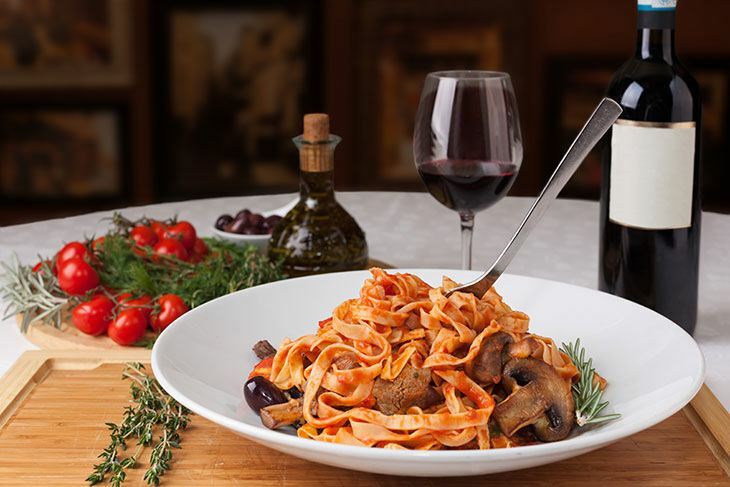 Instead, focus on looking into the proper form of carbs you can incorporate with olive oil and other dishes, such as salads and whole-grain pasta. Olive oil is used for almost anything, whether it’s for your dishes or even for your skin! But because of its lower smoke point as compared to safflower or avocado oil, I recommend you to use it raw, such as drizzling it over your dishes or salads. Of all its uses, it’s best for weight loss and overall fitness because of the health benefits it can provide to adults and their bodies. But remember to stick to one or two tablespoon﻿s a day. This is best for salads or dipping with bread as an appetizer. I love the simplicity and how it goes with just about ANY salad! Put all of the ingredients in a jar. Tightly close the lid. Shake the jar vigorously until all the ingredients are well combined. Serve and enjoy! 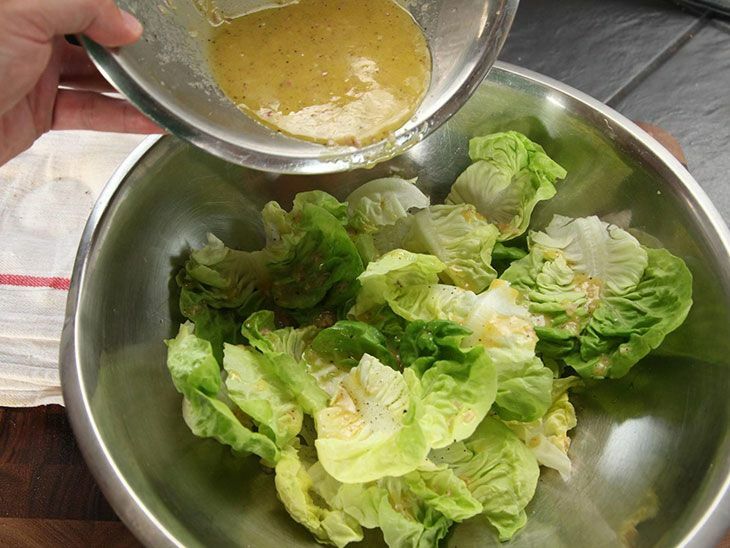 Use only one or two tablespoons per bowl of salad. How does this work? 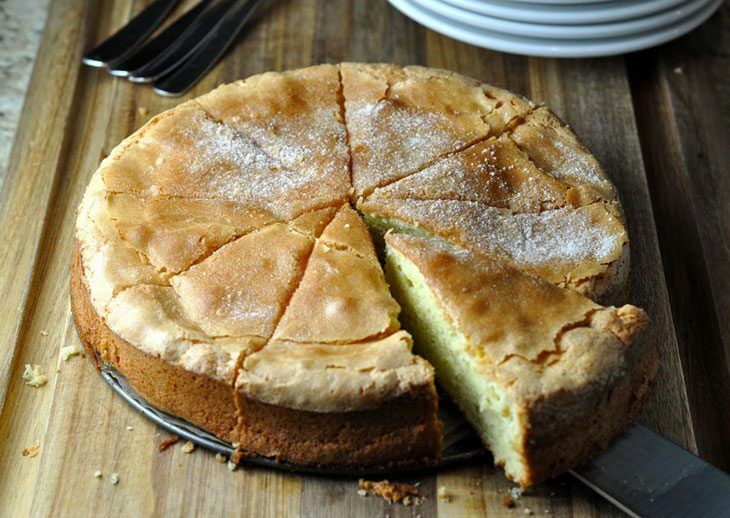 Instead of pleasuring yourself with high carbs, this dense and delicious cake is perfect for those looking for a low-carb dessert. Mix all the dry ingredients together. Set it aside. Beat eggs until it grows to three times its volume. Add the olive oil and vanilla extract, mixing until well combined. Slowly add the dry ingredients to the egg mixture, letting it combine well. Pour the mixture into a greased nine-inch springform pan and bake at 350 degrees Fahrenheit for half an hour, or until the edges are browned. Remove from the pan, slice into eight pieces, and enjoy. If you're planning on taking on a low-carb diet, then you should be able to know the right type of food you can eat. 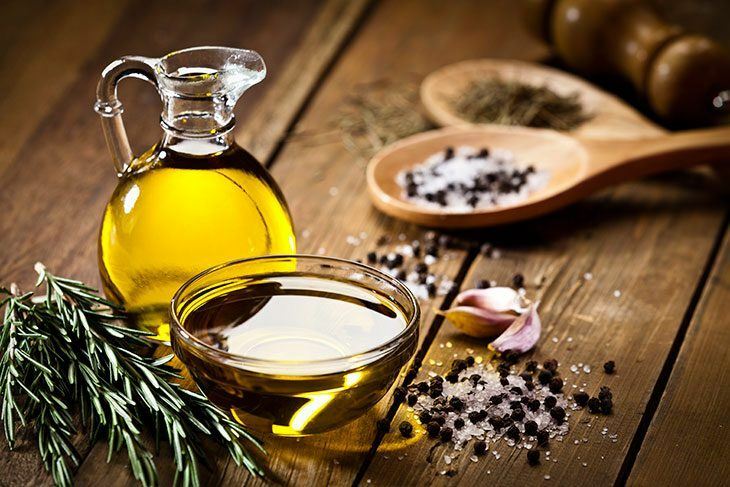 One of the best ingredients you can incorporate into your dishes would be olive oil, which contains no carbs but the pure and healthy fat that will keep your mind working and your stomach satiated in the long run. I hope that this article makes you more knowledgeable about some carbs in olive oil and how to use it correctly to reap its health benefits. Now that you are familiar with what you need to know about this wonder ingredient, why not incorporate a healthy serving of it in your salads or other dishes today? If you have any questions or would like to share more information about the carbs in olive oil or other facts on it, then comment down below. I would love to hear what you have to think.